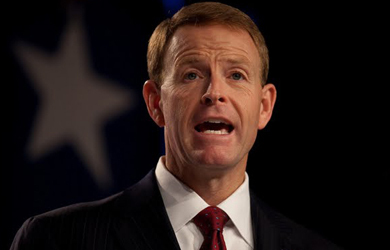 Tony Perkins, the president of the Family Research Council, devoted his “Washington Watch” radio program yesterday to discussing a Tennessee bill making the Bible the state’s official book, which was vetoed by the state’s Republican governor after being approved by its legislature. At one point, a listener called in to share his wish that “the United States government would enact a bill where the Holy Bible was the Bible of the United States,” noting that many government buildings have references to the Bible on them. Perkins then returned to a conversation he had had with an earlier caller who had opposed the Tennessee bill and asked Perkins how he would feel if a state named the Koran its official book.